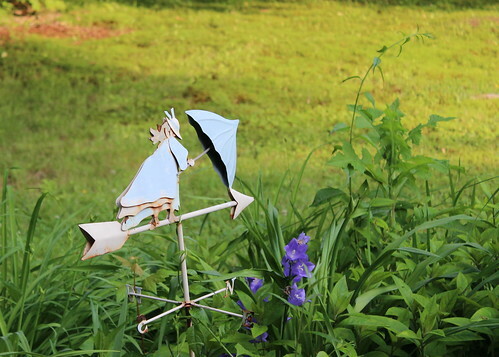 Garden Ornament, a photo by Christopher OKeefe on Flickr. For this challenge, I did not have to look further than our backyard. This is a a garden ornament in one of my wife’s flower beds. This entry was posted in challenges and tagged flowers, garden, object, postaday, weekly challenge on January 31, 2014 by milfordstreet. San Diego – Sailboat and Skyline, a photo by Christopher OKeefe on Flickr. 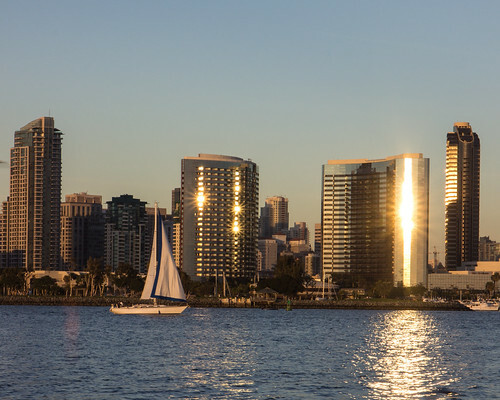 A view of the San Diego skyline as seen from Coronado. This entry was posted in challenges, Daily Prompt, san diego and tagged daily prompt, postaday, sailboat, skyline, water on January 31, 2014 by milfordstreet. Prague Charles Bridge at Night, a photo by Christopher OKeefe on Flickr. The Charles Bridge in Prague certainly has quite a bit of age. This entry was posted in challenges, Daily Prompt, photography, travel and tagged age, charles bridge, daily prompt, postaday, Prague on January 30, 2014 by milfordstreet. US Military Service Man, a photo by Christopher OKeefe on Flickr. “Now” is so ephemeral. If I took a photo of what I saw right now, it would change before you saw it. 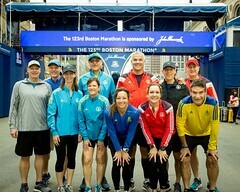 This photo was taken last week (not now). 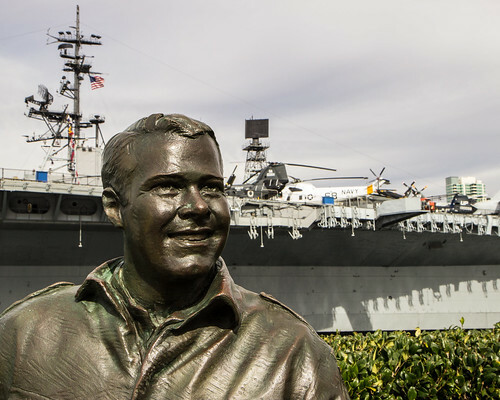 It is a statue of a US military service man with the aircraft carrier / museum Midway in the background. Though the weather or lighting may have changed, both are most likely still there….NOW. This entry was posted in challenges, Daily Prompt, san diego and tagged aircraft carrier, daily prompt, midway, military, now, postaday, service man on January 29, 2014 by milfordstreet. Of the many photographs that I took on our trip to San Diego last week, this is by far my favorite. Making photographs in Balboa Park in the evening was one of my goals for this trip. The light did not look this nice when I set up my camera and tripod, but the camera sure liked it. It took a bit of editing in Lightroom because the lighting on the California Tower is brighter and makes it look odd. I re-cropped it tonight to have it printed as an 11×14. Balboa Park is one of my favorite places and it was nice to visit there again. 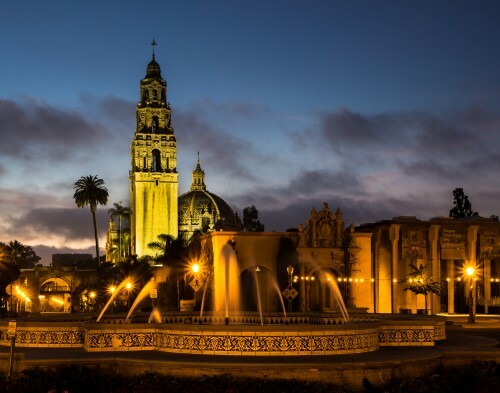 This entry was posted in photography, san diego, travel and tagged "plaza de panama", balboa park, fountain, spanish on January 28, 2014 by milfordstreet. 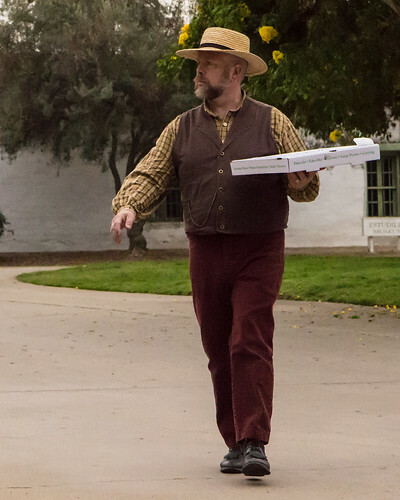 Old Town Actor with Pizza, a photo by Christopher OKeefe on Flickr. This entry was posted in challenges, san diego, street photography, travel and tagged actor, juxtaposition, pizza, postaday, weekly challenge on January 27, 2014 by milfordstreet. 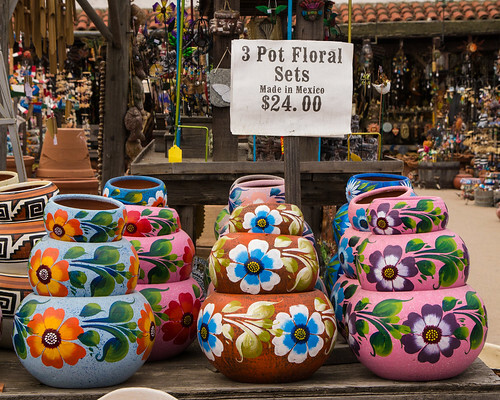 Old Town 3 Pot Floral Sets, a photo by Christopher OKeefe on Flickr. These pots were on slae in San Diego’s Old Town. 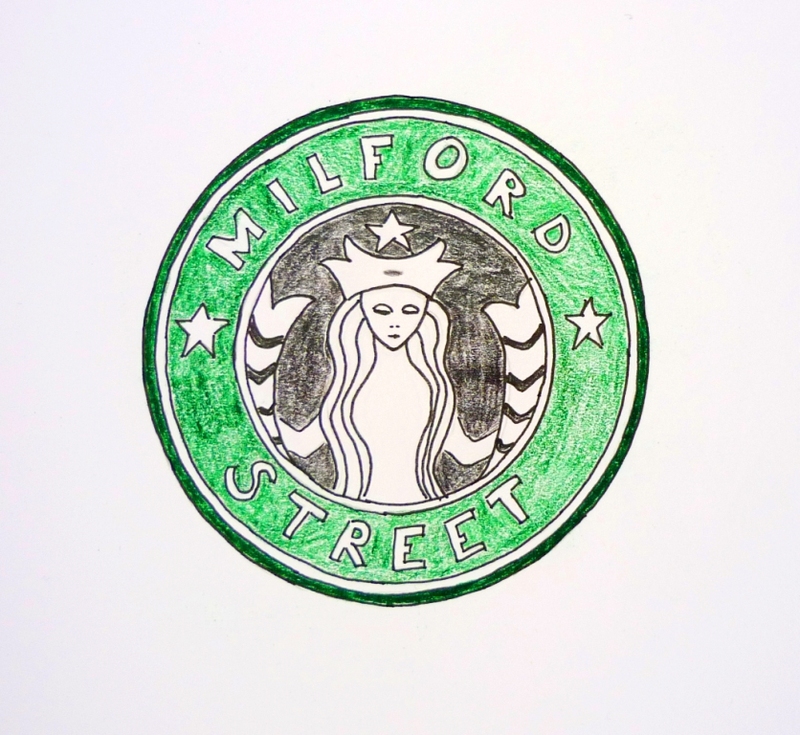 This entry was posted in Uncategorized on January 26, 2014 by milfordstreet.